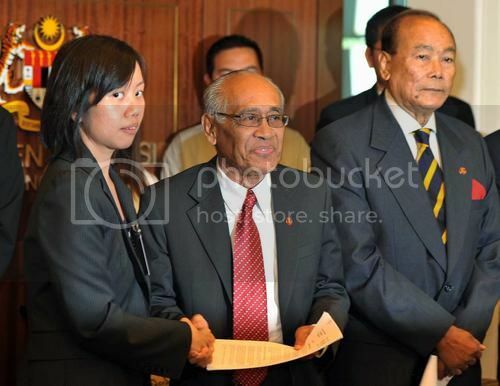 On Friday, 31 Malaysian Members of Parliament and 11 senators gave their support to the Save Vui Kong campaign. Yong Vui Kong is a 22-year old Malaysian who is currently on Singapore’s death row after being convicted for drug trafficking. The backing from the MPs and senators for the campaign comes at a time when there is growing awareness and support for Yong in Malaysia. According to the “Save Vui Kong Campaign” activists, the MPs include 21 Pakatan MPs, including DAP’s Karpal Singh, and eight MPs from Barisan Nasional, the ruling coalition. MP for Sabah, Datuk Chua Soon Bui, said Yong can give back to society by reaching out to young people who might be vulnerable to drug traffickers. Rather than kill him, he should be allowed to repent and share his story, she said on 25 July. (See here) Datuk Chua said a number of people in the district of Tawau have joined in the task to gather signatures. She herself would conduct her own rounds for the same purpose, she added. Malaysia wrote to the Singapore government in July to appeal for clemency for Yong. “We sympathise with what had transpired and will do everything possible within our powers or diplomatic means to solve the problem,” Malaysian Foreign Minister Anifah Aman said. Campaigners have so far collected 14,000 signatures from members of the public in Malaysia. An online petition has garnered almost 15,000 signatures to date. A blog has been created for the campaign: Save Vui Kong. Besides the politicians’ support, non-governmental organizations have also lent their voices in the bid to save Yong from the gallows. These include the Malaysian Bar Association, The Young Buddhist Association of Malaysia and Amnesty International Malaysia. Yong’s family has also made its own appeal to the President of Singapore, SR Nathan. 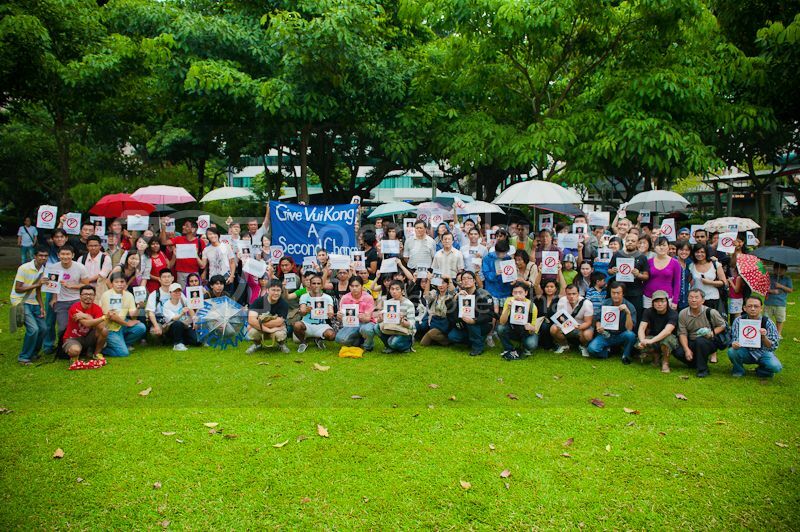 In Singapore, activists took to the city’s Speakers’ Corner last Sunday to add their voices to the clemency plea. A Facebook photo project urging Singaporeans to show their support through pictures have also been set up. In the meantime, the lawyer for Yong, Mr M Ravi, filed an application for judicial review with the Singapore courts on 22 July. Mr Ravi’s application argued that the clemency process has been so prejudged that the court should issue an order of prohibition to prevent the execution and the clemency process from moving ahead. Mr Ravi’s application cites the Singapore Law Minister’s remarks in a public forum and the Law Ministry’s later press statement on the matter as having “irreversibly tainted the clemency process with apparent bias”. Judgement on the application is pending. The media in Singapore, however, have played down the issue and the Malaysian campaign to save Yong has hardly been reported. Yong has taken up Buddhist studies while in prison and has pledged, if he is given a second chance, to use his time to counsel those who, like him, have fallen victim to crime. Read also: Family prays for clemency for Sabahan on death row – The Star Online.